BRYANT VS CARRIER: Which One Is Better For You? EHOMEPICK "Just Another Home-Outdoor-Garden Blog"
Summers can be exhausting. If you live in a place where it is hot almost any time of the year, you should definitely invest in an air conditioning unit. With too many options that are available, however, which one will make the best choice? If you need help to come up with the right decision, this Bryan vs Carrier comparison post aims to make it easier for you to choose. First, let us have a look at the history and background of the two companies, which should provide you with a glimpse of the reputation that they have made in the global marketplace. Bryant is a company that was founded in 1904. With more than a hundred years of existence, it was able to cement its reputation as one of the best in the business. More than air conditioners, they have a diverse product line, which also includes boilers, gas furnaces, air purifiers, humidifiers, UV lamps, and ventilators, among others. Meanwhile, Carrier was founded in 1902. It was the brainchild of Willis Carrier and it is said to have manufactured the world’s first modern air-conditioning system. Since then, the company has been steadfast in its growth. Similar to Bryant, it also has heating and cooling products, as well as air purifiers and ventilators. In a nutshell, the two companies manufacture almost the same products. Without a doubt, for a lot of buyers, cost is the primary deciding factor when choosing an AC. Do not choose one product only because it its cheap. After all, the quality and performance of the products are the more important factors. Looking at the price of the two brands, they are almost identical with each other. They are not necessarily cheap, but given their features and their cooling efficiency, your money will surely be worth it. Especially if you are buying an AC for the bedroom, noise is one of the most important considerations. Look at the decibels (dB), which will be indicative of how loud in can be. A lower number would mean that it is quieter. 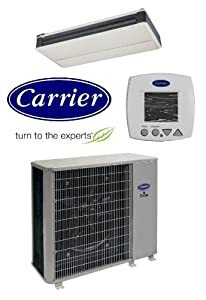 Between the two brands, Carrier is known for having models that are quieter, specifically those from the Infinity Series. This is the quietest from their product line. A lot of you would surely prioritize products that deliver exceptional performance without consuming too much energy. This will help to lessen your carbon footprint, which means that you are minimizing their negative impacts on the environment. More importantly, by having an energy-efficient appliance, you will enjoy significant savings in the long run. Both of the companies offer ACs that are energy-efficient. They have undergone independent tests to prove that they use minimal energy. Most of those from Bryant have energy efficiency ratings that range from 13 to 21. On the other hand, those from Carrier range from 15 to 21. When you are buying any household appliance, another important consideration is the warranty that is offered by the manufacturer. This is going to provide you with peace of mind. Within the duration of the warranty, if one product becomes defective, you can return it to the manufacturer and they will offer free repair, labor, and parts, depending on their terms and conditions. Both Bryant and Carrier are offering a warranty that lasts for ten years, which is pretty much exceptional. Take note, however, that the warranty is only in parts. To be sure, when purchasing a product, check the warranty conditions. Both Bryant and Carrier have an extensive product line, which means that as the buyer, you will enjoy an abundance of choices. In the section below, we will further explore their product lines. Evolution Series: These are powerful units that are known for their quiet operations. There are some with variable speed, while there are also one and two-stage models. Their seasonal energy efficiency ratio ranges from 16 to 21. Preferred Series: Those in this line are known for being compact, yet their cooling performance is not compromised in any way. Their compressors can be either single or two-stage. The seasonal energy efficiency rating ranges from 13 to 17. 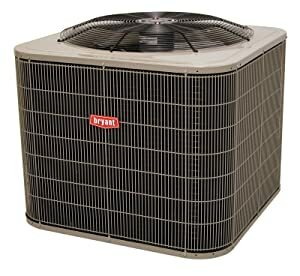 Legacy Series: If you want low cost-cooling for your home, a Legacy air conditioner from Bryant will do the job. They all have single-stage compressors. Meanwhile, the seasonal energy efficiency rating ranges from 13 to 16. Infinity Series: From the three, this is the one with the quietest and most energy-efficient units. As a proof to this, they have seasonal energy efficiency rating that goes from 16 to 21. Performance Series: Whether you need a powerful or a compact AC, there is one that is right for you. The models under this group have seasonal energy efficiency rating from 13 to 17. Comfort Series: As the name implies, these units are meant to provide your highest level of comfort while cutting down on energy cost. The seasonal energy efficiency ratings of these models are from 13 to 16. Now that you are done reading this guide on Bryant vs Carrier, there is one thing that can be emphasized – both brands are exceptional. They have been in the business for more than one hundred years, they offer extensive warranty coverage, and they have a wide array of products and models, making sure that there is one suitable for your needs, preferences, and budget. www.ehomepick.com is a participant in the Amazon Services LLC Associates Program, an affiliate advertising program designed to provide a means for sites to earn advertising fees by advertising and linking to amazon.com. You have trouble choosing your home electrical appliances and do not know where to start? welcome to www.ehomepick.com – This place can help you solve that.